You have to eat right to stay health. More importantly, you have to eat right to age healthily. 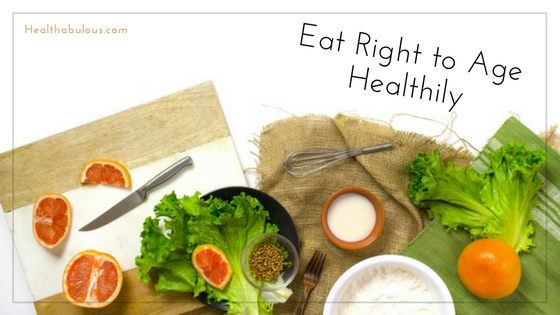 If you do not eat right, your body does not receive the nutrients it needs to stay healthy. You have to eat so it fuels your body. Too much food is not good for you and not enough of the right food can be harmful to your health. We seem to eat more food than we actually need to survive nowadays. As we get into our 50s, it is important that we watch our fat levels. So how do we eat right to age healthily? Healthy eating is not complicated and it does not have to be boring. The main thing to remember is to get plenty of variety in your food. This will help to ensure that you get all the nutrients that you need to stay healthy. Not all foods are good for you, at all. However, some foods are good for you in small quantities but can be harmful in larger quantities. For example, liver is loaded with iron which is good for your blood, but too much isn’t good for you. 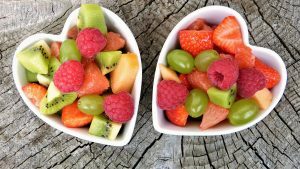 Fruit and vegetables are good for you but again not too much because the fruit will turn into sugar and that’s not good for you. High cholesterol is a danger as well from food if you’re not careful. High cholesterol can harden your arteries, which could lead to a stroke or heart attack. So even eating food that is deemed to be healthy, carries a risk. You need to eat healthy foods but watch what you are eating and how much you are eating. How will I know if I am not eating right? So you can see that it is not too easy to eat right to age healthily. 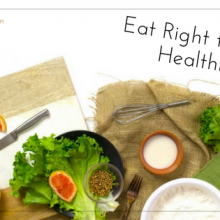 How do you know if you are not eating right? When you go to your doctor, he will tell you if you need to go on a diet. Then he may put you on a diet to lose weight or a diet to help you gain weight. He will tell you want to eat and how much as well as what not to eat. Then he may tell you to exercise regularly. You have to be able to burn up what you take in so it will not turn into sugar or fat. The world is filled with support groups that will help you if need support. More then likely you can go to your local hospital and they will know how to get you in touch with a group. These groups are great. The groups will give you support during the time that you need help. These days there are so many groups on the internet that share useful information so you can always try one of those if you are struggling. 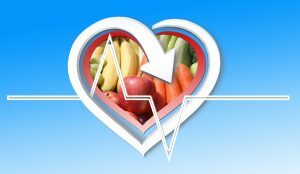 Research has shown that those who eat a variety of fruit and vegetables are less likely to develop certain cancers or heart disease. It doesn’t matter if the fruit and veg is fresh, frozen, tinned or even juiced as it all counts the same. This should make up around a third of our diet. Aim to eat at least 5 portions of different fruit and veg a day. Aim to eat different colours too as these have different nutrients. Dark green and orange are good for us as we age. Eat protein rich food daily like meat, poultry, fish etc and try to eat fish twice a week. You don’t need to eat meat every day and try to vary your choice of protein. Embrace the meat free Monday idea and substitute meat with cheese, eggs, beans or lentils for example. Starchy carbohydrates give you energy so should be a component of you meals. These include things like bread, rice, pasta and potatoes and wholegrain foods are better for you than white refined ones. Milk and dairy foods are rich in calcium which help to keep bones strong which is important as we age, especially in women. Have 3 servings of low fat dairy a day to help keep your bones healthy. They are also unfortunately quite high in fat so choose lower fat versions where possible such as semi-skimmed milk. The best type of diet to follow is the Mediterranean diet as this is based around a lot of colourful fruit and vegetables. Having a balance of a healthy diet and some physical activity is the best recipe for good health and fitness as we age. Try and aim to be active for a minimum of 30 minutes every day. Start with an activity such as walking then gradually increase the time as you get stronger. Remember that eating well is vital whatever your age. Your food choices make a difference not only to your health but also to how you look and feel. Eating well ensures you get the correct nutrients and also keeps your energy levels up. Whether you are a man or a woman, and whatever your age, make one change at a time and aim to eat right to age healthily. Fitness Over 50 – Starting to Exercise in your 50s.